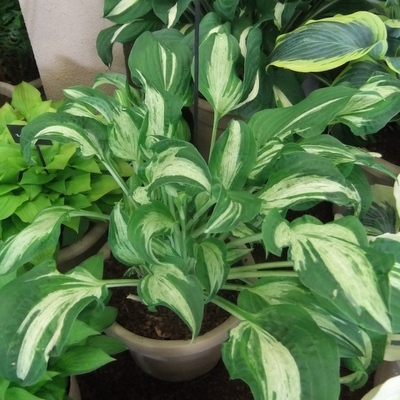 Medium Hosta. Ht. about 16”. 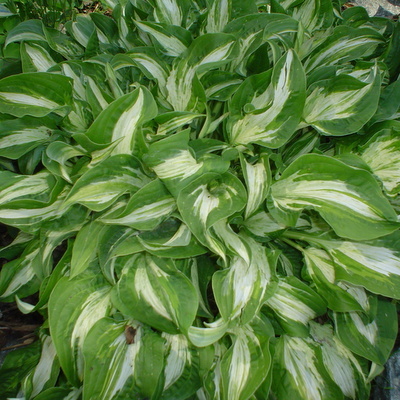 Misted and speckled green/white-centred leaves with a green margin. Lavender flowers. Sun tolerant. RHS AGM. Herrema/Ruh 2000. £8.00.